Both sets of fans are struggling to get excited about tonight's Sounders-Earthquakes match in San Jose. It's happening because the Earthquakes needed an opponent to fulfill one of their 'extra' match season ticket promises. SeattleSoccerTalk.com has posts and some chatter. Beautiful Game Seattle does its best to find connections between now and next season. Big Soccer has a Pre-Match thread where Quakes fans are posting. The match will air live on Comcast SportsNet West starting at 7:00 PM. 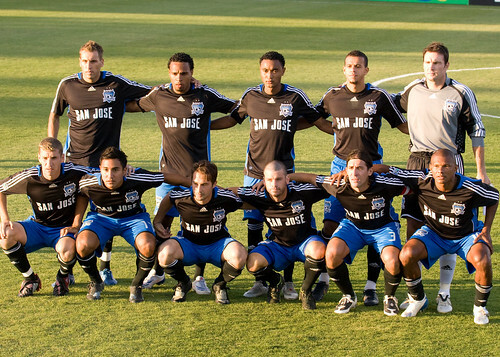 According to the 'quakes website, there is no TV, or radio, for this match. The CSNW broadcast mentioned in the press release is for the DCU match. I'm a little surprised, and disappointed, that USLLive isn't showing this match. They've shown other MLS/USL1 exhibition matches.